Earlier this month, the Daily Mail broke the story about England international Eni Aluko receiving a cash settlement from the Football Association and signing a confidentiality agreement regarding allegations of harassment from manager Mark Sampson and other members of his technical staff. The Mail also said she asked not to be considered for selection while Sampson is in charge; Aluko initially denied that claim, but in a subsequent interview with BBC Sport she said Sampson did indeed drop her after she made her complaint to the FA. The Chelsea striker hasn’t featured for England since April, 2016. For their part, the FA have officially cleared Sampson of any wrongdoing. In the wake of further allegations and outside pressure, English football’s governing body responded by doubling down and throwing their full weight behind Sampson. They also responded to Aluko’s claims that their internal investigations were flawed and incomplete by accusing her of refusing to fully cooperate with their auditors. Both the Professional Footballer’s Association and Kick It Out have called on the FA to allow an independent probe of Aluko’s allegations. Meanwhile, Aluko’s Twitter mentions have been flooded with trolls accusing her of being greedy and dishonest. If you’ve followed women’s soccer for any length of time, and you don’t have your head completely buried in the sand, little of what’s happened with Aluko over the past few weeks will strike you as surprising. Shireen Ahmed, a writer and public speaker who talks about the intersection of sports and politics, tells me that she saw this coming a mile away. Ahmed told me she figured something was up when Aluko was omitted from the England squad for the 2017 Women’s Euros. She also says the FA’s response was wholly inadequate—and also unsurprising. “The FA basically investigated themselves and found themselves not guilty. This, too, is unsurprising. Mark Sampson won’t be fired until the team loses and he is seen to be subpar as a coach. Racist and xenophobic comments hardly receive adequate consequences. Those criticisms of the FA’s response to Aluko’s allegations were echoed by Stephanie Yang, a Boston-based journalist who covers the USWNT and the NWSL. “From what I’ve read, I don’t think the FA responded well. There seems to be some hiding behind the idea that they didn’t want to disrupt the squad as they prepared for the Euros. I think it sends a bad message when team prep for a tournament trumps player safety and dignity. 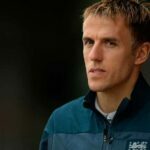 “Yet at the same time there is added pressure for the team to do well because women’s teams are constantly having to ‘prove’ they’re worth their investment. England is perhaps one of the countries where that investment isn’t as much at risk from poor tournament performance as a smaller footballing country, but it is there. The Aluko case suffers from the same problem that most instances of discrimination and harassment for women and marginalized groups in the workplace have—it’s the victim’s word against the aggressor’s. In the US and the UK, there are laws and regulations prohibiting discrimination against employees who fall into one or more protected groups. Strictly speaking, Aluko can’t be fired from her job because she’s a woman or because she’s black. But very few workplace abusers are ever stupid enough to broadcast their intent—at least not clearly enough that it would be admissible evidence in court or as part of an inquiry. A woman of color would likely never be able to prove that she was turned down for a job opening, or fired from her position, because of her gender or race. Time and time again, workplace abusers never face consequences for their behavior. Indeed, it’s often the victims who face punishment for speaking out. Likewise, Aluko might never be able to “prove” that Sampson is leaving her out of the England squad for discriminatory reasons. Managers generally don’t have to explain their team selections to anyone, and players are left out for all sorts of reasons, legitimate or not. No one really questions the manager on their starting XI, unless they lose. Sporting directors and club/association executives are solely responsible for holding their managers to account; and as the FA have demonstrated, racism and sexism aren’t necessarily deal breakers. Whatever you might think about Aluko’s settlement, this is very likely the best she could’ve hoped for. If you’re a woman (or you present as one), and you’re harassed by a supervisor and a £80,000 settlement is your best case scenario, is it still worth tanking your career for speaking out? How about the deluge of harassment and criticism that comes afterward? This is just part of the calculus that women footballers have to make when they face their own Mark Sampsons. Fellow England internationals Lianne Sanderson and Anita Asante said as much this week when they discussed the “environment of silence,” to quote Asante, that the FA has fostered in order to protect Mark Sampson and others like him. And of course, it’s not just players and the FA that are affected by gendered harassment and bullying. Remember Eva Carneiro? It took her nine months to reach a settlement with Chelsea after José Mourinho screamed at her in the middle of a Premier League match for daring to do her job, and then followed up by freezing her out of the first team and making her position untenable. For all the public outpouring of support she received after her mistreatment, she never worked in football again. Financial compensation notwithstanding, she, as the victim, bore the brunt of the consequences of her own harassment—which, among other things, meant the end of her career in football. Carneiro now operates a private sports medicine practice in Gibraltar. Her tormentor, meanwhile, lost his job for reasons unrelated to his creating a toxic work environment, but still found a way to “fail upward” and now prowls the touchline as manager at Manchester United. This is important to keep in mind as more details come out about Aluko’s mistreatment. The FA has already picked a side, and it’s not the victim’s. Aluko may never play for England again. Who knows how long Chelsea will stick by her and what the long-term effect on her club career will be. The public debate will continue to heat up before, inevitably, we all stop paying attention. And when this happens again to someone else, we’ll all wonder how it happened, and why the victim didn’t speak up. The injustice at the heart of discrimination against women (and especially women of color), whether it’s bullying in the workplace or street harassment or sexual assault, is that the victim is the one put on trial, and not the aggressor. 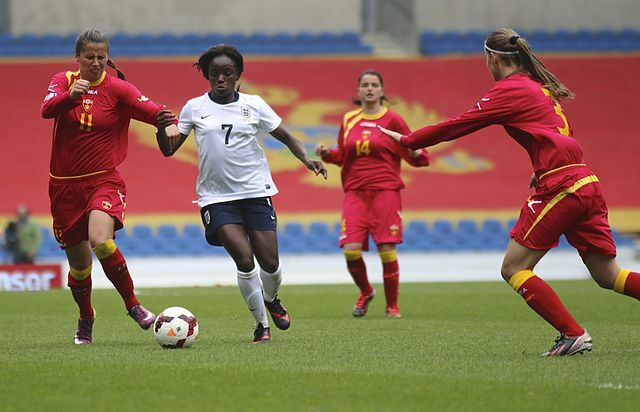 Eni Aluko was bullied and harassed while representing her country, and if history and society’s ongoing struggles with racism and sexism are any indication, the lioness’ share of blame and consequences will fall on her. Unless and until this dynamic is interrupted, Aluko, and women like her, will continue to suffer in silence.